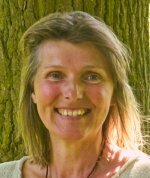 Hansje te Velde, psychotherapist, supervisor and counsellor. I have been working in this field since 1991, helping people resolve conflict by exploring who they are and accepting more of themselves, working towards lasting changes. I work with your unique interests and concerns. know your skills and your limitations. Are you interested? Then do check my profile and what I offer - click here - to get a sense of me and how I work or give me a ring to speak directly. I am happy to tell you more or go into anything that you are unsure about. I am interested in working with individuals in longer term therapy. My experience is that through sustained exploration and support, lasting change can be achieved. Based on my experience, I believe that short term Gestalt therapy over several weeks or a few months can also be very beneficial and can instigate significant changes. I offer one to one work to suit your needs and resources of time and money. I am happy to explore with you what suits best. Levels of CBT approaches can be integrated according to your needs. explore how you can best support yourself and receive support from others. I use a variety of creative approaches to ensure that the work remains lively and immediate. My practice is close to the centre of Leamington Spa in Warwickshire. People travelling from other parts of the county and surrounding counties also find the practice easy to reach. It is set in a quiet location with easy access to main roads, bus stops, the railway station and M40, M42, M45, M6, M69 connections. The A46, A423, A425, A429, A452 are a few miles away. There is plenty of on road parking. By having a short (free) phone call when you can say briefly what brought you to call. We can then sort out a convenient time for an initial introduction and assessment session (you pay for this). In that session we will discuss in more detail what you would like to explore. Monday to Friday during the day and also some evening sessions. please use the Contact link if you would prefer to send an email.